Mer Terre is a leader in the field of constructing concrete “plugs” in the shafts of pumping stations and various other types of underground structures. Our company has developed a range of new and improved methods of constructing underwater concrete plugs with steel and concrete tension piles and fixed anchors, without dewatering. Construction of shaft walls using either steel sheet piles or slurry walls. 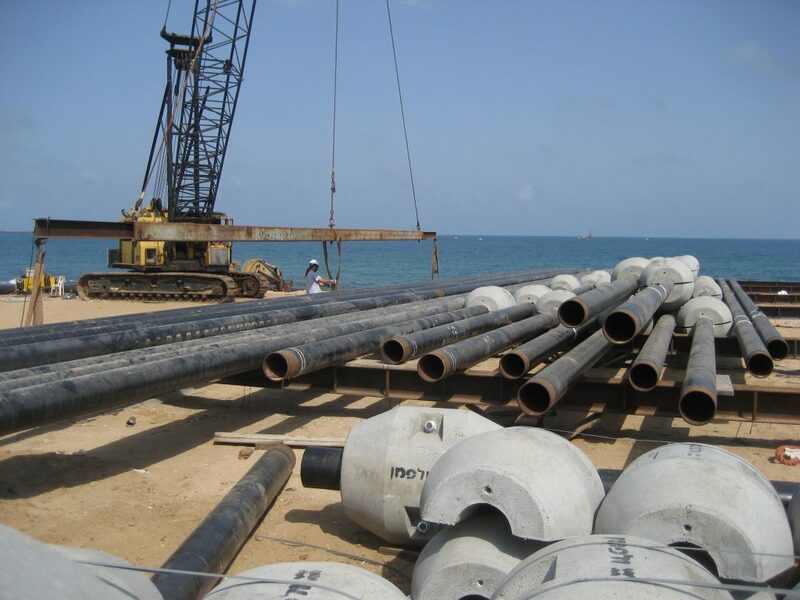 Constructing and installing tension piles. Excavating using long-armed excavators (with arms reaching 16m in length) and “Clamshells” cranes. A one-time process of pumping out all the water from the shaft until it is completely dry. Sealing works for the surface of the plug and the joint between the plug and the walls by injecting polyurethane foam or cement grout.